‘Meaning’ in this book unites semantic and emotional senses and can be understood as the habitual attachment of a desire to a symbol. It is an experience, not just a representation, that has a correlation in brain states. Belief is dependent on meaning, not vice-versa, and the arts speak directly to meaning. Meaning can be fragmented when the energies attached to symbols are separated, or integrated when they are brought together. This account of meaning can be justified both by the evidence gathered by Lakoff and Johnson and by the pragmatic case for interpreting it in this way. This first section provides a philosophical theory of meaning that is intended to lay the groundwork for the more practically-orientated sections that follow. It challenges the analytic philosophical tradition of thinking of meaning primarily cognitively and in terms of language, and excluding the meaning of non-verbal symbols, music and pictures as though their meaning had nothing to do with that of language. It also challenges the assumption that meaning has to be understood on the basis of its communicative function rather than on the basis of its experience for the individual. It will then go on to make substantial use of the theory of meaning developed by George Lakoff and Mark Johnson, which explains the embodiment of linguistic meaning through the development of schemas and metaphorical extensions. It concludes by discussing the role of logic on the one hand, and of sublimity and creativity on the other, in embodied meaning. This section examines the various different ways that meaning is or can be fragmented – meaning the ways in which desires can be attached to different, incompatible symbols. Since meaning is desire habitually attached to symbols, fragmentation of meaning is a particular case of conflict of desire, and similarly due to the absolutising assumptions of the ego. Just as the illusion of the ego is to assume that its desires in general are absolute, so it also tends to assume that its preferred symbols are the ultimately right symbols. These symbols will mainly be in language, but may also include other symbols. They can also be incompatible at different levels – within the individual at different times, between individuals, between groups or between whole cultures and societies. Incompatibility can occur cognitively (mutually incomprehensible languages) and emotionally (lack of empathy), and with a whole spectrum of mixtures of the two. Fragmentation of meaning together with egoistic attachment to symbols can be a cause of conflict. Part of the conditions that help to maintain egoistic identification with symbols are philosophical, and consist in systematic views about the nature of language and symbol. The conditions for continuing fragmentation of meaning are assumed in every metaphysical belief, because metaphysical beliefs require an assumption that their propositions can (or occasionally, definitely cannot) reflect a reality beyond experience. Whenever they turn their attention to language, though, unsurprisingly, metaphysical belief systems seek to shore up their own foundations by offering explicit theories of language that support this assumption. 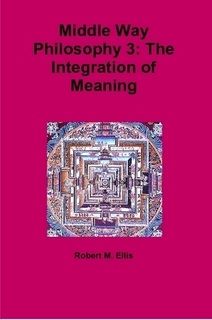 This section focuses on the implicit or explicit theories of language that support metaphysics, and thus either directly or indirectly have a fragmenting effect. It begins with linguistic idealism as a general feature of such philosophies, and then concentrates mainly on representationalism as the most common type of fragmenting philosophy, tracing its influence on religion, philosophy and politics. Expressivism, although relatively unusual, also gets a clarificatory mention. The archetypes, in an account here developed from Jung (but not entirely in his terms), offer a particular case of both fragmented and integrated meaning. Most of this section is based around the exploration of four basic archetypes which represent distinct psychic functions: the Hero, the Shadow, the Anima/Animus and the God Archetype (or Wise Old Man/ Wise Old Woman). These psychic functions are meanings that can remain fragmented when we unconsciously project them, or can be integrated when we recognise them as part of our own experience. The fragmentation of meaning is the attachment of desires to different, incompatible symbols, so the integration of meaning consists in the bringing together of such previously separated desires in relation to symbols, to bring about greater consistency of symbols. This integration can take different forms – psychological or political, focused more on cognitive or more on emotional meaning, and between different overlapping kinds of fragmentation of meaning. Meaning is primarily integrated through tolerance of its proliferation, as we add to our stock of available symbols. However, it is also advanced through the balancing of clarity within cognitive models and recognition of ambiguity beyond them. If we are to integrate meaning in our current, practical situation, how should we go about it? My broad answer to this question is this one: practise the arts in a way that is relevant to you, and with awareness of their integrative role and purpose. This section discusses the ways that meaning can be integrated through language and culture, through the practice of a range of different arts, and also through meditation and focusing. Temporary meaning-integration can be experienced in sublimity or ‘purple-patches’ of integrated desire in relation to a symbol. But temporary meaning-integration will decay more rapidly than the long-term form. Long-term integration can be asymmetrical, and can be inspired by images of total meaning integration, overcoming Babel. Nevertheless such images must not become the basis of belief, or they will become metaphysical idealisations. Integrative achievement in meaning is incremental in nature. Representationalism that creates the central fragmenting influence in political discourse. Political meaning-integration depends primarily on politicians communicating the physical and metaphorical basis of their language, and the public also understanding them in these terms. There are several specific ways this kind of integration of meaning could be promoted both in politics and in wider society, and the four chapters in this section explore four of these specific ways. Firstly, there is the way in which we judge truth and falsehood in the communication of politicians. Then there is the way in which public ritual symbolises the state itself. Then, thinking more positively about the role of government in supporting the integration of meaning, there is the question of how far government can or should directly support the integration of meaning through the arts and education. The work of Lakoff and Johnson in transforming our view of meaning needs to be taken much further. We need to see desire in relation to meaning rather than as a function of a fixed representing self. We need to incorporate Jungian archetypes into this model of meaning. We need to clearly separate belief from meaning – allowing a much more helpful interpretation of God, and of religious and mythic symbols in general. Finally, meaning needs to be seen as something we create dynamically through integration rather than just as a fixed quantity.